Without Worrying About your Mascara Smearing! Throw away your eyelash curler! An easy alternative to lash extensions or perming. Boost Lash Lifting adds lift to natural lashes 24/7 lasting up to 6 to 8 weeks, creating the illusion of longer fuller lashes! 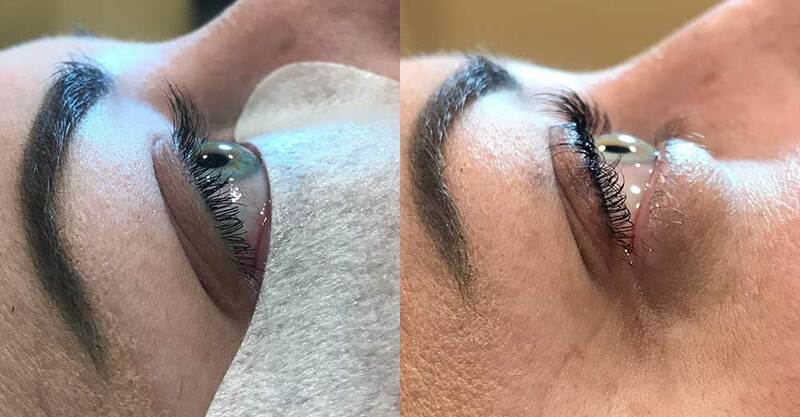 Perfect for straight lashes that won’t hold a curl using a lash curler, hooded or mature eyelids or clients who just want a break from daily curling! It really opens up your eyes and is great for those with already thick full lashes who just want some pop. Lash Tint altars and boosts the color of the eyelash so that the treatment enhances the natural beauty of the client even further. Great for those with lighter color lashes, especially blondes, or anyone looking for a thicker "mascara" look without having to wear mascara. A lash tint will make your lashes appear darker, thicker, and longer - and last for weeks. Intensive™ tinting products use only all natural ingredients and contain no coal, tar or other prohibited materials. Receive Lash Lift and Lash Tint together and Save $10 off Regular Combo Price of $95. Must mention this post to receive the discount. Offer valid until May 31st.